Rolling into Houston during rush hour was indeed a fatal mistake. Instead of a 3-hour drive, it suddenly became a 4+ hour exercise in frustration on the I-10 and then subsequently the I-45 on our way to the hotel. We had to take a detour into Walmart to wait out some of the traffic! Once settled in, we looked over our options for dinner. In my mind, I wanted to go to the nearby Killen's, but I wasn't sure if anyone was in the mood for anymore BBQ. My son was game (I love him...), but the 2 females were not. We ended up going anyways! My daughter was not in the mood for BBQ at all, so she went for one of the daily features being the the Chicken Fried Chicken. It consisted of a whole-flattened chicken breast battered and fried. This dish was mint as the chicken was succulent and juicy while the batter was super crunchy and shattered on contact. 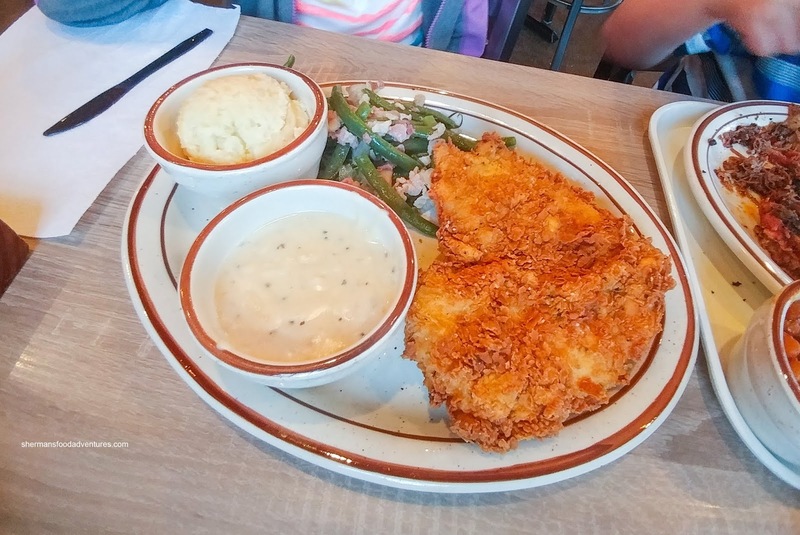 The side of creamy gravy was just the right consistency and provided a subtle richness to the chicken. On the side, she had green beans (with bacon) and mashed potatoes. The beans were not overdone (despite the unappetizing hue) while the mash was chunky and not overly buttery. 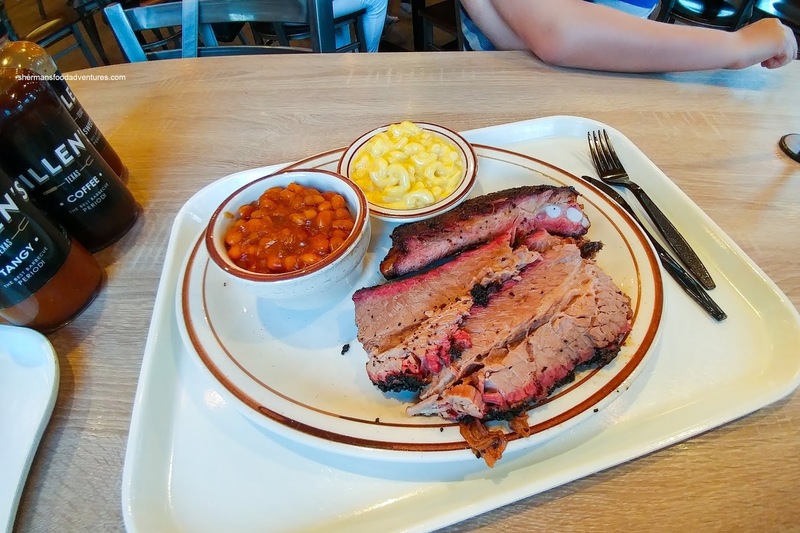 For the table (but my son ate most of it), we had the 3-Meat Combo Plate with fatty brisket, pulled pork and pork ribs. Although different than the other BBQs we've had so far, the brisket at Killen's was good as well. It was meaty, tender while lightly smoked. The pulled pork was tender and moist while the ribs were fall-off-the-bone and well-crusted with rub. On the side, the mac n' cheese was super creamy and buttery. It was also cheesy and plenty tasty. We found the baked beans to be syrupy sweet, but tasty as well. 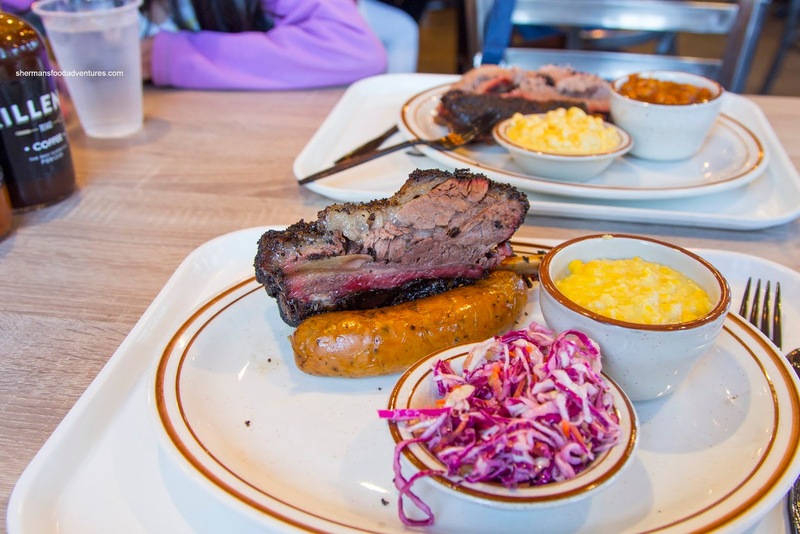 Our last plate consisted of a Beef Rib with a Turkey Sausage Link. The beef rib was also aggressively coated with rub and plenty smoky. It wasn't as fatty as the one at Heim, but that did not detract from the juiciness. Bouncy with a nice snap casing, the turkey sausage was sweet with hits from the jalapeno. On the side, there was creamed corn and coleslaw. The creamy corn was sweet and rich while the coleslaw was crunchy with plenty of tang. 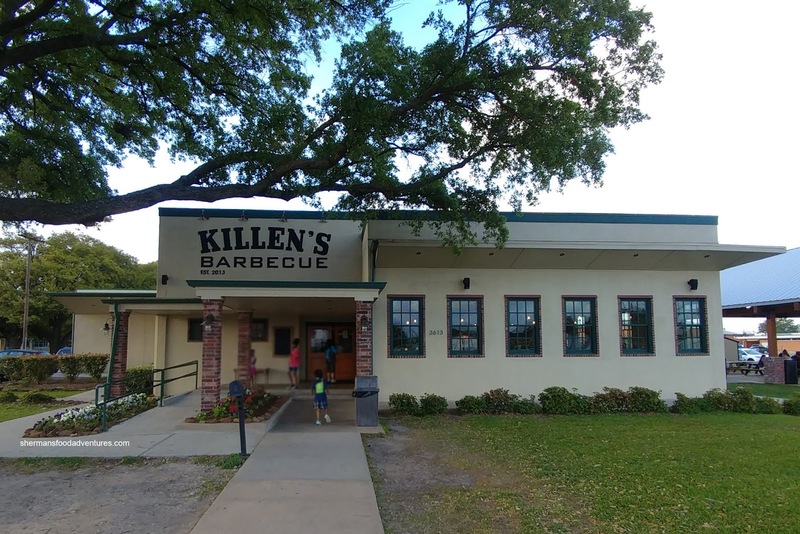 Although we still prefer Franklin BBQ over anything else we had tried so far, the stuff at Killen's was good in its own way. We also liked the reasonable-pricing as well.